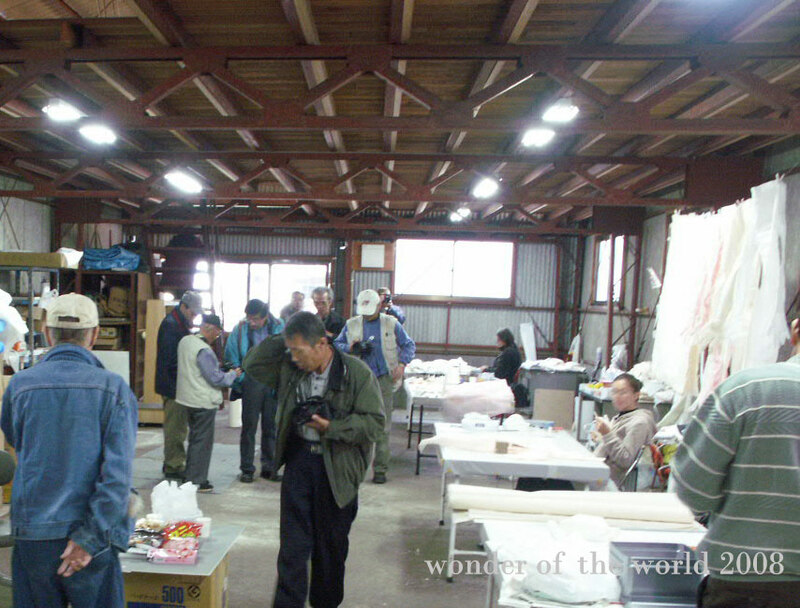 The work space at the Mino Paper Village in 2002. This was a warehouse that housed the five artists. Those large machines on the floor are heaters which helped heat up with the coldness of the place. It sounded like a jet engine. Coincidently they were taken from as high school as we were given smaller ones that really did not work. At the Mayor’s [Michimasa Ishikawa] visit to the studio, I bumped into him carrying a large canister of fuel and fidgeted trying the start the small heater. The next day, these were installed and the part of the open space to the upper floor were sectioned off with plastic so to keep the heat in. In Japanese culture, it is customary for guests to bring some small token. This may be a snack. The garbage bags you see here is evident of getting too much and being unable to manage with the surplus. 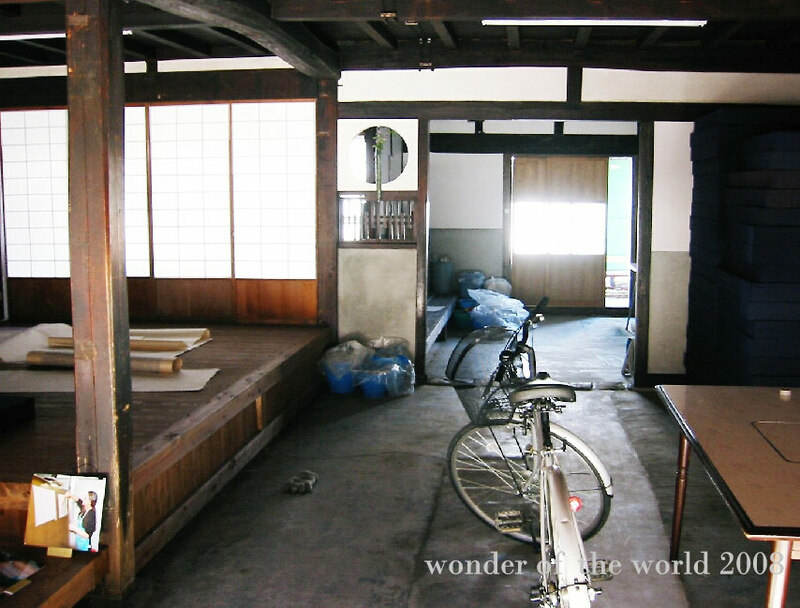 Artists were also provided with bicycles so they could commute to and from their host homes.